Designed with the data center in mind, the HD rack PDU helps you make the choices you need to save time and money and reduce risk. They deliver more bang for the buck. Offering more outlets than any other PDU, the high-density platform enables customers to configure as many outlets as desired in a length that fits their rack size. Even more, the PDU provides the option of mixing and matching 10 available outlet modules to achieve as many as 54 outlets or as few as 24. They are highly configurable. Built on Eaton’s best-in-class of ePDU G3 platform, the HD rack PDU lets customers design and build their own customized PDU — right down to its own unique SKU. Users can also mix and match IEC and NEMA outlets across two configurable PDU outlet modules; configure the cord entry position and input cord length; and select the receptacles that match specific equipment plugs — saving time and providing a seamless box-to-rack transition. Did we mention the cool colors? The HD rack PDU adds a pop of color to gray and white space environments, with a choice of 11 chassis colors that enable instant identification of A or B source electrical feeds. Aesthetic appeal aside, the color-coded alternating phase outlets also help prevent potential overloads and simplify maintenance procedures, while reducing cord clutter. Used in conjunction with color-matching power cords, the PDU makes it easy to trace source power feeds directly to IT equipment. No more tripped breakers. 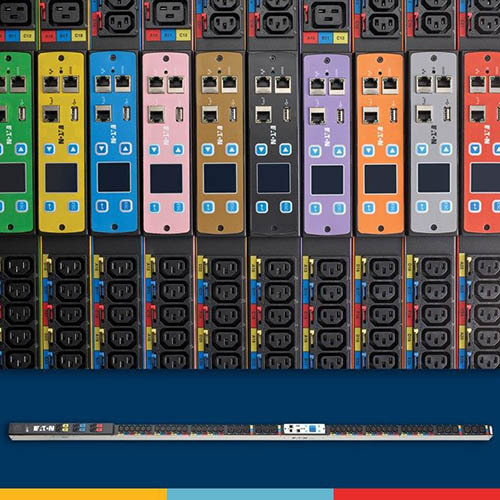 Because high density rack PDUs feature alternating phases outlet-by-outlet (rather than per branch), each color-coded outlet corresponds to a circuit breaker that provides an immediate visual identification of potential unequal power distribution. Load balancing has never been so easy! They’re great for multiple applications. In addition to data center applications, the HD rack PDU represents an ideal solution for customers with unique input plug and outlet count requirements. From server room/network closet consolidations to high-powered enclosures to colocation environments, the PDU affords exceptional flexibility. Meticulous metering. Because the HD rack PDUs meter power at the outlet level, customers can measure the precise current or amount of power each device is consuming. This data can then be used to drive actions such as load balancing, performance monitoring, power billing and calculating Level 3 PUE. The PDUs’ current alarms also offer the ability to monitor devices to ensure they are plugged in and powered on. They can take the heat. Unlike other brands, Eaton’s HD rack PDU has been UL-tested to operate in environments as high as 140° F (60°C) with no power derating required, ensuring high reliability in high-power density, hot aisle containment and other heat-generating applications. Multiple mounting options. Looking for flexibility in your PDU installation? No problem! The back of the HD rack PDU includes pre-installed mounting buttons that allows it to slide directly into any industry-standard PDU mounting bracket. In addition, mounting holes on the side can be utilized for 90-degree side mounting, where outlets face the rear of the enclosure to prevent interference in the rail space. The PDUs also support clip feet mounting, as well as provide configurable power cord entry to accommodate various mounting situations and eliminate interference in height-restricted rack enclosures. Modules are hot-swappable. The HD rack PDU’s network communications module can be removed and swapped out while the rest of the unit is still operational, eliminating downtime due to routine maintenance or component failure. Offer your customers more control over their power distribution with the ultra-configurable Eaton HD rack PDU. Check out the online configurator to see how easy it is to build a PDU with a unique SKU and even request a 3D drawing. As an integral part of modern technology, the power category is an everchanging — and yet absolutely vital — part of your organization. 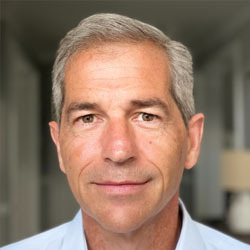 In an effort to help you stay apprised of both the latest innovations and the issues most likely to impact your business and uptime, Eaton’s own vice president and general manager of the Distributed Power Quality business, Hervé Tardy, will be delving into pertinent topics in a monthly blog. New revenue opportunities are closer than you realize. Here’s how to tap in to them. End users are ready to purchase; will you have the innovative solutions they seek? Wish you could buy some time? Eaton Care delivers — for free! Stay on-premise or go in the cloud? Yes.